Providing critical resources for military, intelligence, civil, and commercial sectors, Charles Francis Cooper are dedicated to providing experts in the field of aerospace technology. Charles Francis Cooper is your first stop for residential and commercial building solutions. We have highly skilled individuals in all fields within the HVAC industry. The future includes highly specialised scientific techniques such as computational fluid dynamics and we are here to enable your growth. From aerospace design, applications in civil, mechanical, and chemical engineering, computational fluid dynamics is as essential as it is complex. At Charles Francis Cooper, our experts in this field are well-versed and are waiting to assist you to ensure excellence in the outcome. Our experts in combustion, have experience in the fields of combustion design, research and combustion technology. Combining a wealth of knowledge and experience from global OEM’s to academia, Charles Francis Cooper’s dedicated team offer exceptional technical leadership and intelligent solutions in all combustion related fields. You need a team who understands the physical and chemical behavior of metallic elements, their inter-metallic compounds, and their alloys. Charles Francis Cooper boasts some of the best metallurgy talent management consultants in the industry. Each individual possesses a deep working knowledge, based on years of experience, concerning the processes and procedures used on various metals. With alternatives to fossil fuel becoming increasingly sought after, the nuclear power industry is booming. Charles Francis Cooper are at the forefront of this movement, partnering with companies worldwide in every facet of the nuclear power industry. A vast amount of power plants are set to open worldwide in the near future, these projects will need talent. Help us ensure your name retains the high ranking position it currently holds. The global processes of exploration, extraction, refining and transporting of oil and gas are some of the services that we are involved in including: the exploration, development and production of crude oil or natural gas; oil tankers and refineries; pipelines, marine projects, and service and supply, it is safe to say we can help with any potential talent problems. 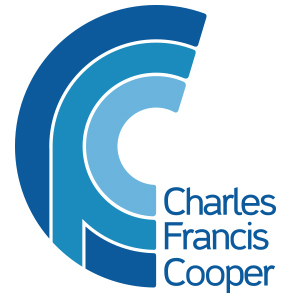 Charles Francis Cooper’s professional service within your industry is second to none, have a discussion with one of our thought leaders and see how we can develop your story. Charles Francis Cooper partners with some of the most trusted names in power generation on a worldwide platform. Our collaborators are at the cutting edge of the power generation industry, accessible to the world market and our facilitation and transformational team-building is possibly what you are currently in need of? As well as traditional coal power, we also partner with organisations that utilize less-traditional and more diverse methods of power generation such as solar, hydro-power, photovoltaics and geothermal. Corporations trust us to provide and implement solutions delivered with our rare combination of expertise, professionalism, and personal skill. Our precision, skill, experience, and professionalism helps us unearth the most experience EWE/IWE qualified leaders. Our client’s projects are worldwide engineering monuments of human achievement, that can’t happen without an exceptional welding division, making their dreams a reality. Allow our executive placement experts to find your leaders to ultimately construct a winning leadership team for your organization.